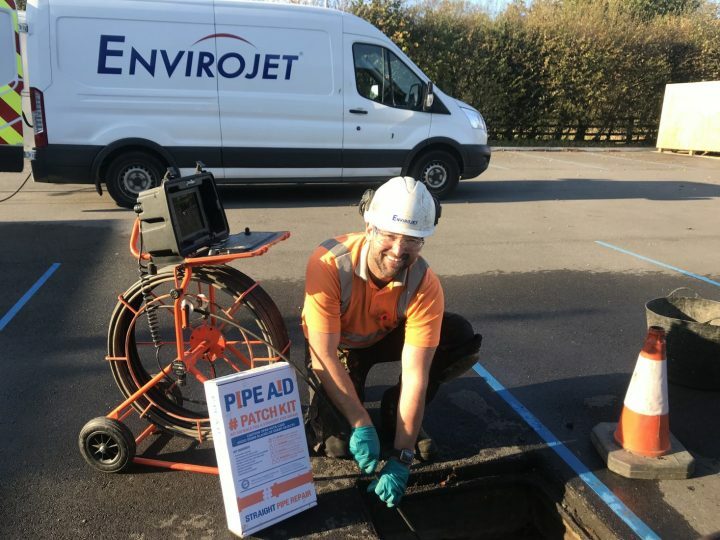 Envirojet install Pipe Aid patch lining products for the permanent and water tight repair of damaged pipes due to corrosion, cracks and infiltration irrespective of age and pipe material, without the need for disruptive excavation work. Internal rising damp in Harrogate property caused by defective drainage. The featured image is from a Harrogate property recently purchased with rising damp issues. 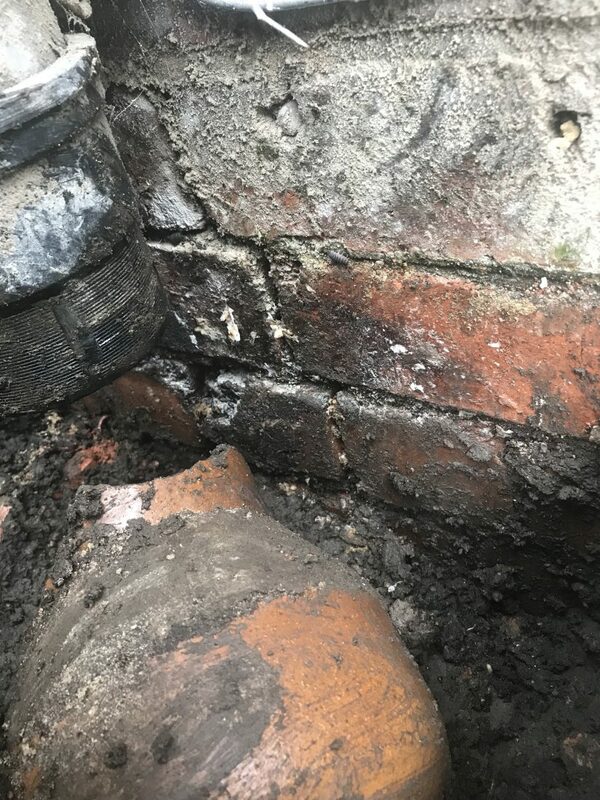 We recommend a CCTV drainage survey to ensure the pipe work close to the property was in good condition and to eliminate this as being the cause, at this stage the drainage system appeared to be working and was not blocked. 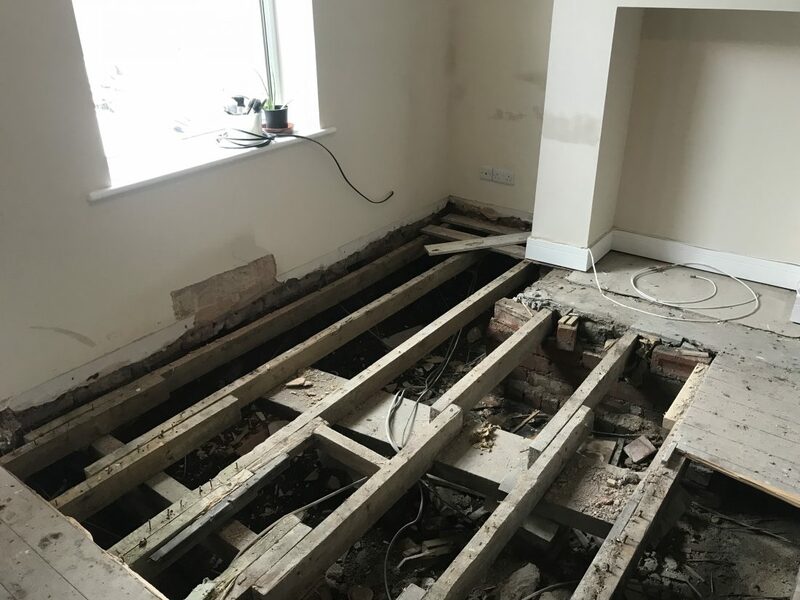 Upon further investigation foul water had been building up beneath the floor void due to the mortar being washed away under the damp course and was a major contributor to the rising damp problems within the property. 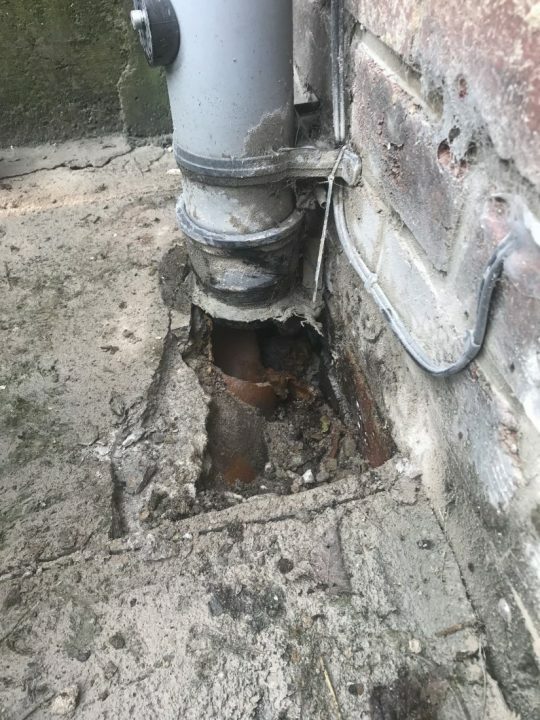 The “rest bend” (90 degree pipe situated at the bottom of a soil pipe) had a major break causing foul water to leak down the external wall and over time running into the internal floor void. 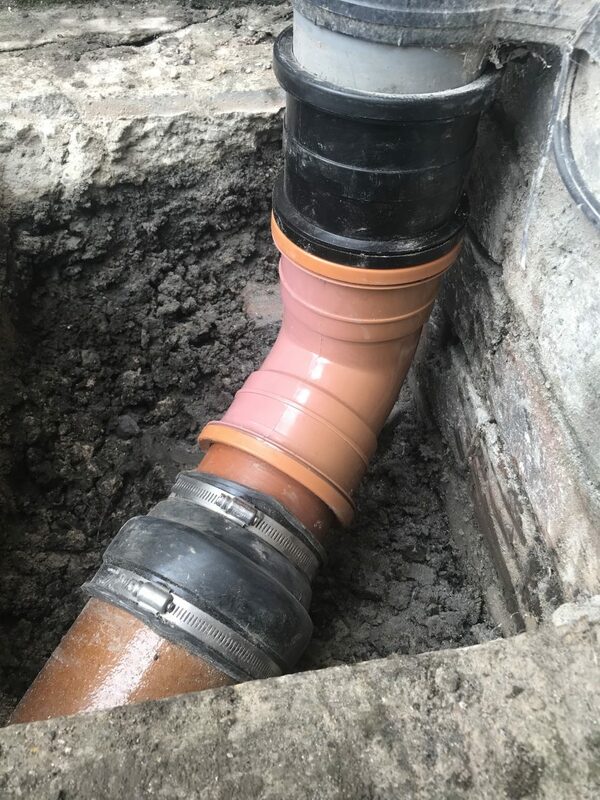 We rectified this by replacing the “rest bend” and piping to the existing drainage system. The term “drain benching” basically means the built up area of concrete (bricks in some cases) above the level of a pipe within a manhole. 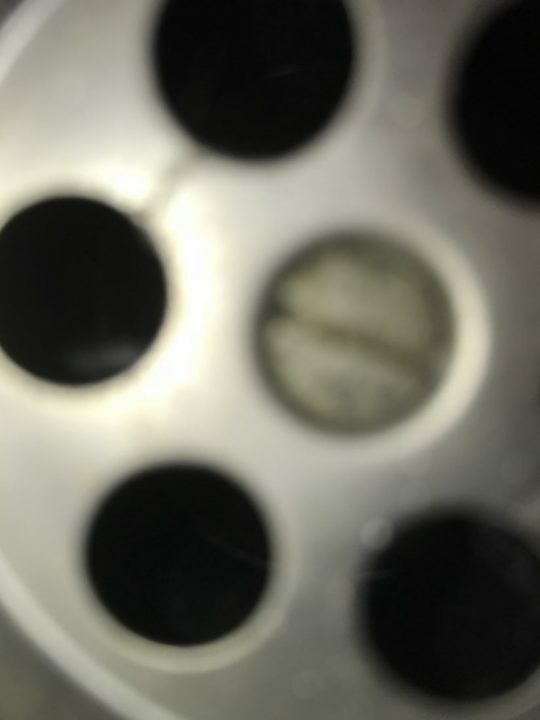 Over time this slowly wears away and becomes a place that toilet paper and solids build up eventually causing a blockage, pre formed plastic manholes are an exception. The winter months are when your surface water drainage system is used most with snow and rain combined with the cycle of freezing and thawing of surface water. 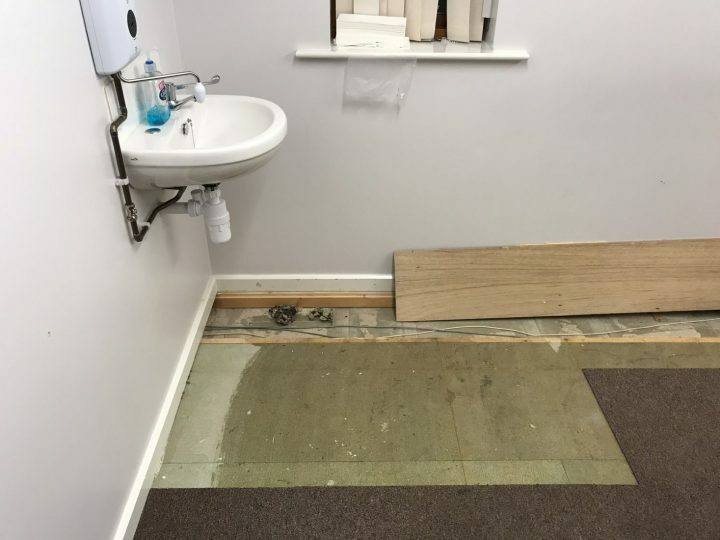 Drain blockages can lead standing water that can turn to ice and cause slipping hazards, the key to avoiding this is drain maintenance this can include a visual check of gully drains or having your drainage system High Pressure Water Jetted by a professional. 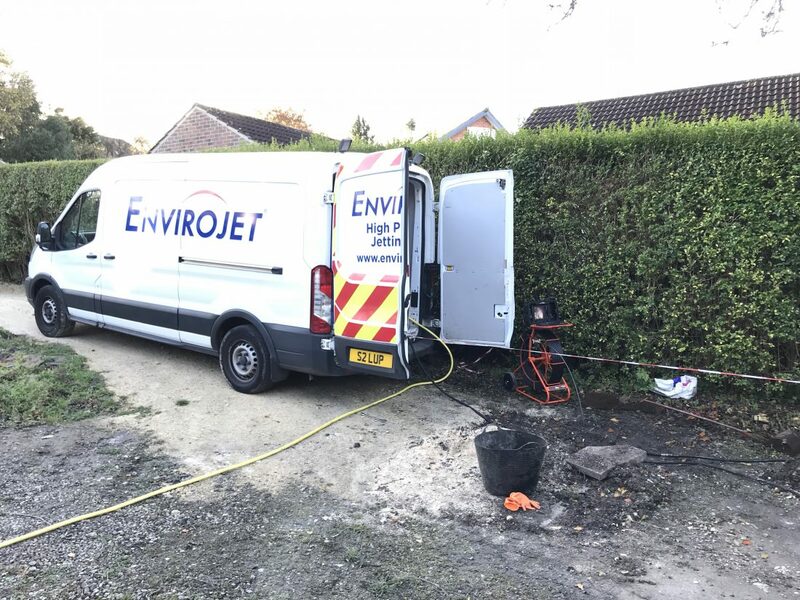 At Envirojet we have a dedicated drainage van for the Harrogate area dealing with drain blockages, CCTV drainage surveys blocked internal drains such as sinks and toilets. Are you trying to locate drains? Find manholes? Or simply map a drainage system in Harrogate? We use the most up to date technology to trace your drains and can even determine the depth and condition. 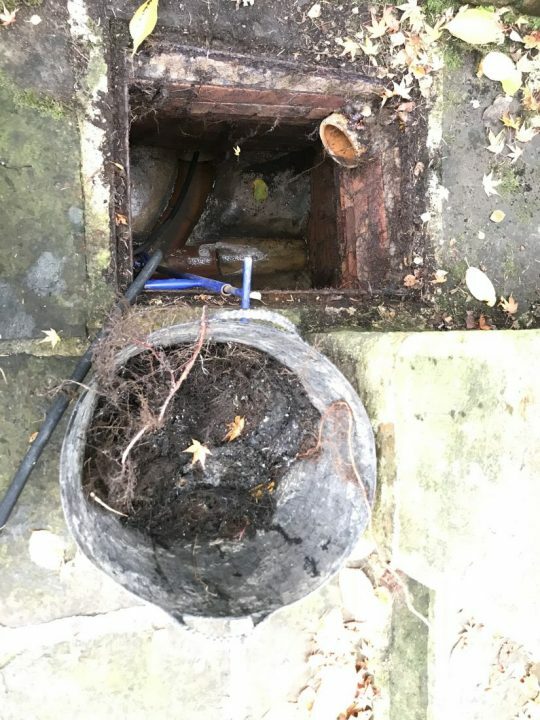 If your looking to connect to an existing drainage system or simply have a blockage hot spot we can help. We use sonar to trace your drains and find this to be the most reliable method although smaller drainage system may only need a CCTV drain survey to identify inlets and inspection chambers, dye testing is also a cheap and effective method, we can tailor our services to meet your needs. At Envirojet we specialize in internal drain blockages such as blocked sinks, showers, baths and urinals (commercial drainage). 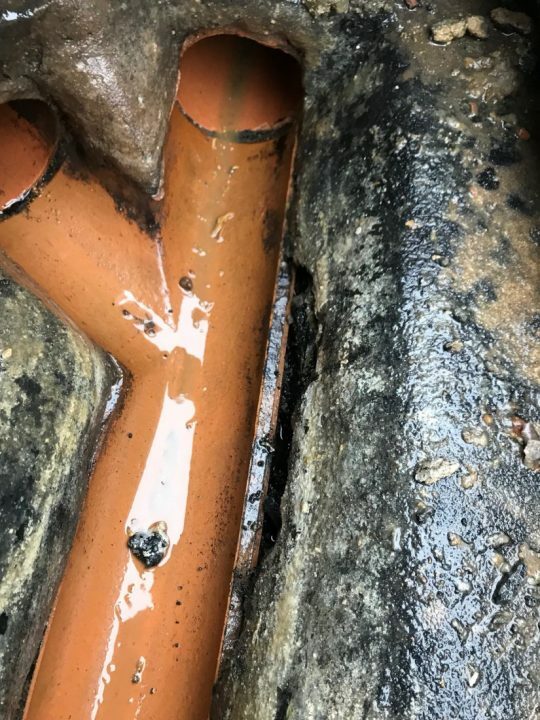 Our domestic customers often try drain unblocking liquid to no avail, this is because the liquid is not concentrated enough to clear the blockage and just ends up as another expense although they are on the right track as blocked u bends are a very common problem. We have over 30 years experience in the drainage industry and can deal with 90% of the blockages within the hour. A Common problem with waste from kitchen extensions is white good such as dishwashers and washing machines being plumbed into external soak away drains, quite often a problem is not detected until it’s too late, this can then become a costly exercise moving pipework and in some cases the white goods themselves. 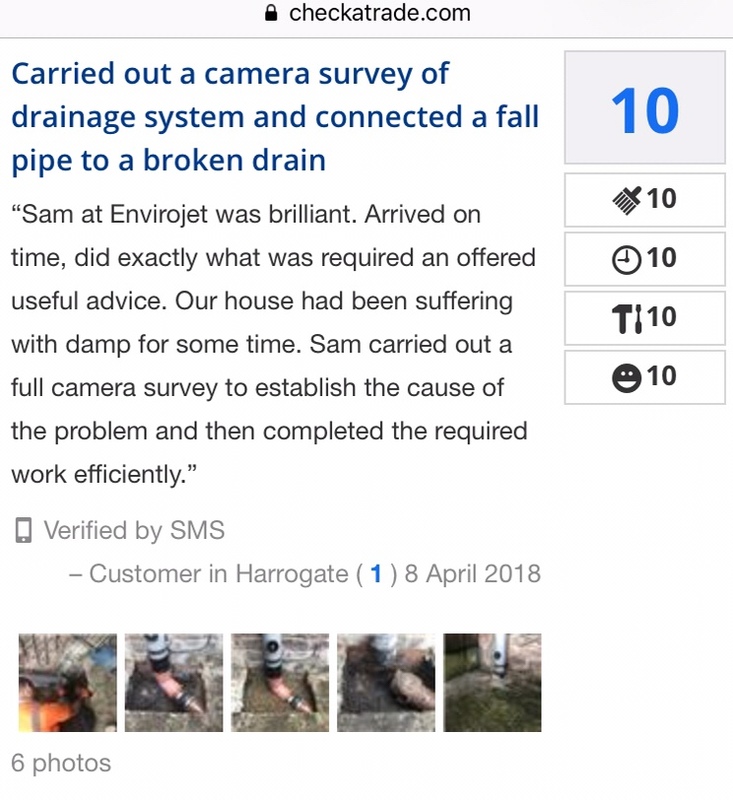 Do You need a CCTV drainage survey in Harrogate or surrounding area? 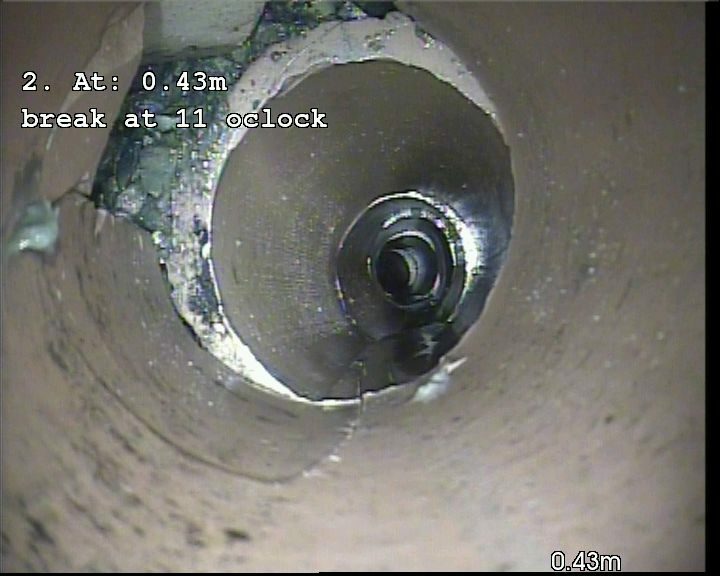 A CCTV drainage survey is the best way to locate problem areas within a pipe line that blocks on a regular basis. Information such as diameter, material, condition and the length of a drainage line can be gathered during the survey. With our advanced technology we can produce an on-site report, reducing waiting times, this means our customers can get back to normal as quickly as possible. 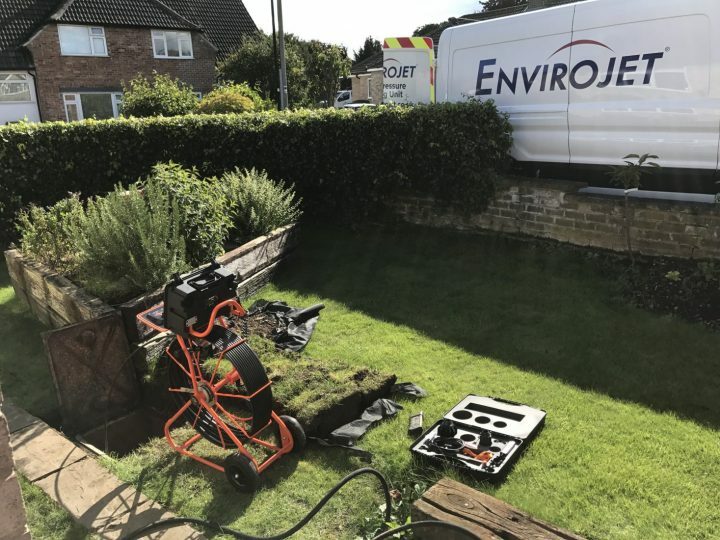 All reports are carried out on site and handed over at the end of the survey giving you piece of mind that your drainage issue is being dealt with as quickly as possible. Please click link below for a sample of our drainage reports.